In the previous blog I talked about how it is possible to “Cash In On Your Passion”. You can create a web site about what you are passionate about and you can blog there, gather a like minded audience there, put things in the store there and make some money out of selling what it is you sell there. But what if you do not want to blog yourself? What if there is nothing you are so passionate about that you want to talk about it in public? Well? There are lots of OTHER people who do want to learn how to blog and how to create a store and how to sell affiliate products on the web! If you learn how this is done then you can teach others and you can cash in on someone ELSES passion just as easily as you can cash in on YOUR passion. Just think about how many people you know who have a facebook or a twitter who are posting post after post after post after post about whatever it is that they are passionate about. If you learned how to create blogs etc you could sell them on the idea of creating their own blog and their own store and cashing in on their passion…while buying all the things they need to do this from you! If you learned a few simple aspects of wordpress you might even be able to get your new clients to pay you a little money on consulting fees as well! If you do not want to do that? Just give them our contact details and we can do those services for your clients on your behalf. You need a blog, a squeeze page (or sign up form), and an autoresponder. You can get a one month freebie web site at JV Zoo Web Hosting. To sell the idea to other people you will also need a freebie give away to get your prospects to sign up for the email list. You can get one of those from me! 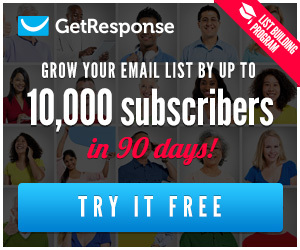 Just put your name and best email address in the contact box below and you will get on our autoresponder list. You will be emailed a special report by my friend John Thornhill that will take you through the pitfalls of running an online business and give you an idea of what you need to do in order to run an online business. I am in Johns Inner Circle Team and I think he is doing just a bang up job of teaching newbies how to be successful in this business. So take massive action right now! Fill in the email form to get your free report from my friend John Thornhill, an internet marketing millionaire! Previous articleCash in On Your Passion!